When foreign people think about Peru, the first thing they imagine is Machu Picchu. But our country has plenty of landscapes and places that can surprise all those who visit us. One of those places that everyone love is the Huacachina lagoon, located in the middle of the Ica desert. Would you like to know this amazing place? Here we tell you how to get there and what to do in Huacachina. How to get to Huacachina from Lima? The Huacachina lagoon is located 300 km south of Lima, in the department of Ica. To get there, you will have to take a bus that goes from the capital to the city of Ica and from this point, you will have to take a taxi to Huacachina. Bus transportation in Peru is very common, so there are plenty of companies in this area that offer the route Lima-Huacachina. Thus, you can choose between different prices, seats, and schedules to get to the lagoon. We recommend you to do a search on the internet for the best companies and discover the point of departure of each one. The trip to Huacachina lasts between four and five hours in which you can enjoy a landscape of kilometers and kilometers of desert. What to do in Huacachina? In addition, to visit the Huacachina lagoon, in which there are boats, the main attraction of this place is the sandboarding, an adventure sport very similar to snowboarding but on the sand. 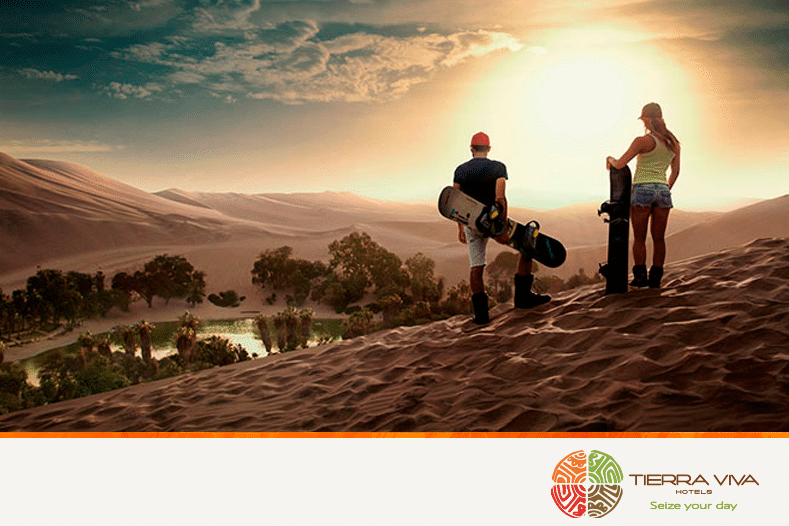 Have you never snowboard or sandboarding? Do not worry! Most people who arrive here do not know anything about this sport and what they do is slide at high speed through the dunes lying on the board. To get to the highest areas of the dunes, the tourist agencies sell you a complete pack in which they take you in a dune buggy and leave you in the high point of the dunes to go sandboarding. 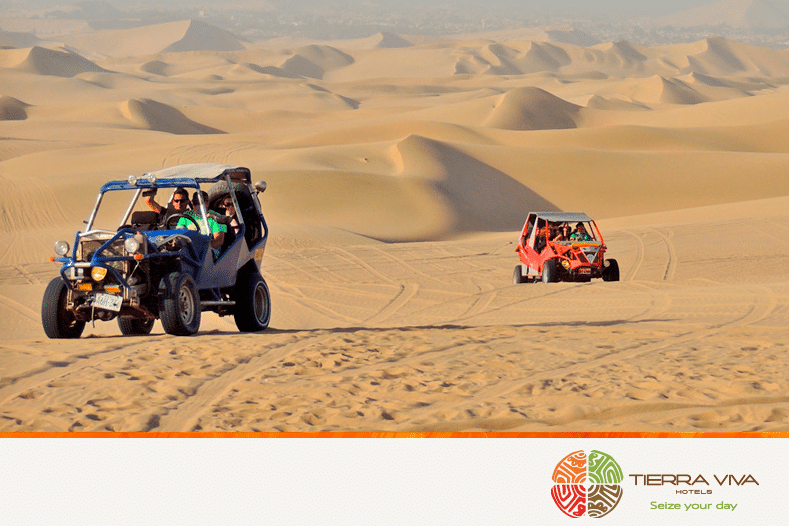 The trip in dune buggy is also one of the favorite activities of those who visit Huacachina as they reach a lot of speed and you will feel as if you were in an amusement park in the middle of the desert. The total price of this activity is around S/ 40 (12 dollars) per person. How many days do you need to visit Huacachina? The visit to Huacachina does not require a lot of time. 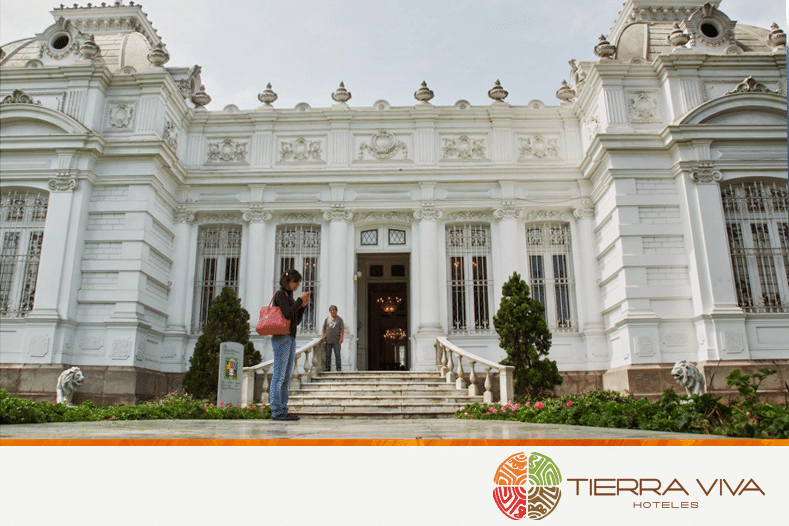 If you have a few days in Lima and you want to do a day excursion, this is the perfect place. Take the bus early in the morning (around 6 a.m.), visit the lagoon and eat something in the surroundings and in the afternoon make your trip in a buggy and go sandboarding. If you can, you have to watch the sunset from the dunes: it is one of the most beautiful in the whole country. When the night falls, you can return to Ica and take a bus back to Lima. Once in Lima, our Tierra Viva hotels, located in the district of Miraflores, await you with the best facilities to rest and recover energy after a day full of adventure. Do you want to know more about our hotels? Go to www.tierravivahoteles.com! Discover our new hotel Tierra Viva Trujillo! 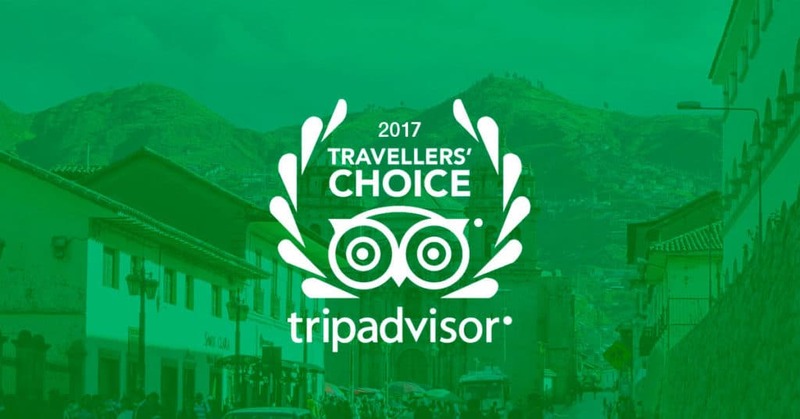 What to do on a trip to Puno with your children?